“The problem is there is no data, absolutely no data. You can get quarterly data for economic statistics, but you can’t get any data about the workers… what is their health, how are they faring? 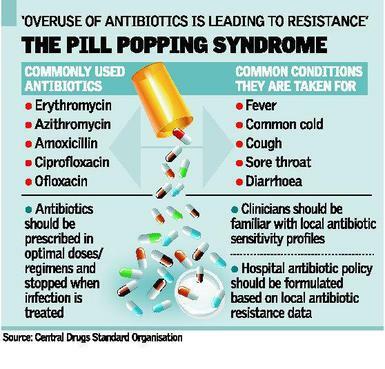 There is no data on that,” said Sanjiv Pandita, Executive Director, AMRC. There is no provision to report accidents at work for large number of workers across economic sectors. In 2005, ILO published its estimates on accidents in India (Introductory Report; Decent Work-Safe Work). According to this report, based on 2001 figures, economically active population in India was 443.8 million. ILO estimated 40,133 fatal accidents in India. It also estimated 2,61,891 fatal work-related diseases. Against this estimation, our (AMRC) official data reported 1346 deaths at work and we have no estimation of our own. In India there is 1 factory Inspector for every 506 factories (the number has increased from 415 in the year 2008). Some of the states like Punjab have a ratio of 1:1601 and Andhra Pradesh 1:795. In many cases, when workers fall sick, they just go home. So, the problem of reporting any incident vanishes for the employer. Lack of regulation over the use of toxic materials compounds the problem further. Asia Monitor Resource Centre is an independent non-government organisation which focuses on Asian and Pacific labour concerns. The Centre provides information, research, publishing, training, labour networking and related services to trade unions, pro-labour groups and other relevant NGOs in the region. AMRC’s main goal is to support democratic and independent labour movements in Asia and the Pacific. The complete report for India can be downloaded here. The detailed report portrays the situation of six Asian countries namely China, India, Cambodia, Philippines, Thailand and Indonesia.This report shows the extent of the problem. Let us hope it will draw public attention to this senseless massacre of workers across the country. When we enter an exhibition or museum, most of us with normal vision take for granted the ability to view, examine, and marvel at the artifacts on display. But, what about individuals who are visually challenged? Would their inability to see deprive them from experiencing art? The National Museum in Delhi has become the first museum in India to enable visually challenged individuals to appreciate art through a blend of sensory experiences. The National Museum Institute (NMI) has installed monograms, signs and Braille inscriptions to make objects in the museum blind-friendly. The main passages, ramps, and galleries have also been reworked so that they are barrier-free. Tactile diagrams have been used in other parts of the world to make art accessible to the visually challenged. Replicas of the artifacts are created incorporating different types of raised patterns. An outline of ancient sculptural art of India to the special audience will be presented through replicas display, supported by bilingual Braille text, self-guided floor path facility and audio guide. This would allow individuals to feel and touch the artifacts thereby aiding to create a mental picture of them. “Though visually impaired visitors used to come earlier also, they had to take the help of guides and could only listen to the narrations. Now they can feel and learn by touching the objects” says Dr. Bose, who is also the National Museum Institute vice-chancellor. The museum has completed pilot programs to accommodate visually challenged individuals. “The exhibition will explore the nature of the perceptual power of the Indian images and gives audience an aesthetic, educational and spiritual experience through touching and feeling. It will give an overview of Indian sculptural art through ages,” says Dr. Bose. These facilities will become operational from April 2011. Indian Citizens – Rs. 10 each. Other – Rs. 300 each (inclusive of Audio Tour Charges). Students – Rs. 1 each. Visit the National Museum website for more details. During the 1800s, cholera attributed to 15 million deaths in India. Between 1900 and 2000, the maximum deaths in India resulted from diseases such as plague, cholera, typhoid, malaria, and tuberculosis. These diseases are infectious diseases(also called communicable diseases), caused by bacteria. A recent survey in 2010 reports cardiovascular disease is India’s number 1 killer. The findings are part of the Million Death Study that is following the lives and deaths of 1.1 million households throughout India until 2014. This seminal study, aims to gather information on the causes of death across urban and rural India. The preliminary findings indicate that ‘lifestyle’ diseases have overtaken ‘communicable’ diseases in India’s mortality numbers. This shift in trend should not come as a surprise to us. Scientists have found that South Asians are genetically prone to heart disease. 1 in 25 Indians carry a mutated gene that causes heart failure. Add to it the stressful jobs, poor eating habits, and sedentary lifestyle. Though one may assume these factors to exist only in cities, with ‘urbanization’ of rural India, the rural population is also facing similar problems. The affluent in our society have access to medical facilities, and information to take precautions, whereas for the poor, these are unaffordable luxuries. The government intends to review the results of this study and help improve the health care conditions in India. In related news, Government of India launched the National Programme for Prevention and Control of Cancer, Diabetes, Cardiovascular Diseases and Stroke (NPCDCS). The programme with an estimated expenditure of Rs.1,230.90 crore ($275 million) will be implemented in 100 districts across 15 states and union territories through mass education and by promoting healthy lifestyle. “Under the programme, it is expected to screen more than 70 million adults above 30 years of age for diabetes and hypertension, early diagnosis of non-communicable diseases and treatment,” the home minister Mr. Chidambaram said. Meanwhile, we should be aware of the issues and improve our lifestyle and food habits. For many years, weaving has been one of main occupations for people in Magadi, and Ramnagara districts of Karnataka, located near the capital Bangalore. Weavers from neighbouring states migrate to these places in search of livelihood. Recently, some of them paid a hefty price for doing their job. Ahmed said as soon as they put the raw silk yarn, which was brought from Bangalore, into the spindle and turned on the machine, there was a pungent chemical smell. “Immediately, our eyes started to burn and tear up. Within seconds, there was swelling and our vision blurred,” he said. This was also the case with 45 year old weaver Narayana in Magadi. His employer took him to an eye clinic and then to a hospital in Bangalore, which is 50 kms away. He is not sure if he will be able to see again. Ahmed and Narayana are among the nearly 60 weavers have lost the eyesight after handling the chemically treated silk yarn. “This consignment of raw silk yarn was probably treated with chemicals by suppliers to increase its weight and give it the semblance of better quality yarn which costs twice as much — Rs 2,500 per kg,” said Nanjundaswamy, one of the weaving unit owners, who has since closed the unit. Nanjundaswamy said the yarn is supplied by traders from various parts of the country through middlemen and it was not possible to say where these toxic supplies came from. Samples of the yarn have been sent to the forensic laboratory to ascertain the chemicals present in them. Meanwhile the affected weavers and their families demand an inquiry into this incident. Would the government turn a ‘blind eye’ to this request? ‘Cigarette smoking is injurious to health.’ We have read this numerous times in the Indian media. ‘Injurious to health’ is an under-statement. Smoking kills. It kills nearly 10 lakh Indians every year. Would it make a difference for smokers and their families to know that though Tobacco kills people, it is preventable? India currently has 10 per cent – over 12 crore – of the world’s smokers. Almost a third of Indians – 57 per cent of men and 11 per cent of women – consume tobacco in some form, and many use more than one type of tobacco products. Smoking kills over 10 lakh Indians yearly. Without intervention, over 3.8 crore bidi smokers and 1.3 crore cigarette smokers will die prematurely from tobacco-related diseases. We need to generate awareness regarding tobacco and the disastrous effects caused by it. India has anti-tobacco legislation in place, and India is also a signatory to the Framework Convention on Tobacco Control (FCTC). Enforcement of the law is weak. Kiosks selling cigarettes, gutka and other tobacco products continue to thrive near schools among other places. Youth is also targeted in various media campaigns. The World Health Organization Representative to India has brought out a report on Tobacco Control in India. Raise taxes on all tobacco products to increase prices and generate revenue for tobacco control. Spend the additional revenue on social sector initiatives benefiting the poor and on strengthening tobacco control programs. Impose a ban on oral tobacco products such as ‘gutka’. Strengthen enforcement of existing laws and regulations. Establish coordinating mechanisms at centre and state levels. Mobilize the people through mass education and community empowerment. Promote tobacco cessation through other health avenues. Restrict the import of tobacco products into India. A political will to strengthen tobacco control in India coupled with community commitment to diminish the menace of tobacco is needed. I had read about many incidents involving medicine shops selling fake drugs at the original cost to the consumers, and this was the first time saw some action being taken against the shops. Unlicensed medicine shops have been mushrooming in rural areas of Orissa’s Jagatsinghpur district in which they have been selling duplicate and substandard medicines without the knowledge of drug control officials. One racket was actively supplying substandard medicines and charging the original rate from patients. Drug Control Squad led by drug inspector Mr Anjan Kumar Sahoo raided different medicine shops of Orissa’s Jagatsinghpur district and seized 6 illegal medicine shops in Balikuda and Jagatsinghpur areas. Five medicine shops were opened in front of Dasbatia primary hospital under Balikuda police station in which these shop owners have been selling substandard and fake medicines to the patients. Monitoring of quality of Drugs & Cosmetics, manufactured by respective state units and those marketed in the state. Investigation and prosecution in respect of contravention of legal provisions. When will this division of the government take more responsibility in discharging its duties? A while ago, I had written about Kashmir’s other conflict. Today, I want to share some good news emanating from Kashmir. BBC News reports that psychiatrists in Indian-administered Kashmir are seeing a sharp decline in the number of post-traumatic stress disorder (PTSD) cases, courtesy of an improvement in the security situation. According to official statistics, the annual number of violent incidents in the state went up to nearly 6,000 during the peak of insurgency. It is down to a mere 400 this year.”Traumatic incidents are on the decline and so is the incidence of PTSD,” Dr Hussain says. Despite this decline in the PTSD cases reported, the mental health of the people living in Kashmir is precarious. There has been an alarmed increase in suicides and deaths due to substance abuse. Medicins Sans Frontieres (MSF), or Doctors Without Borders, has been working with mental health issues in Kashmir for the past seven years. A drawing competition recently held for students, as part of a mental health week was an eye- opener. Children were also found to use dull colours in their drawings. Losing an entire generation to war, and another generation to drugs is heart-wrenching. Here’s hoping common-sense prevails and stability is returned to what was once, a peaceful state. Read more here.